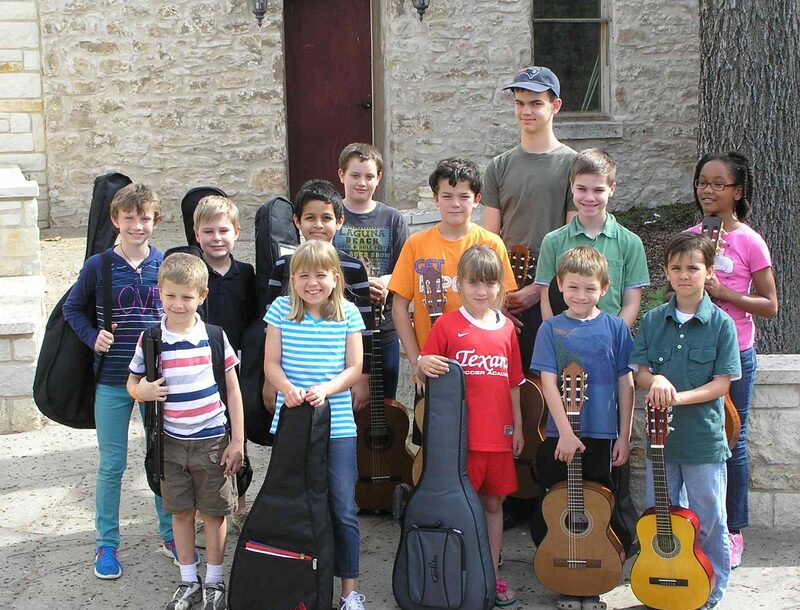 Enriching children's lives through skill and musicianship. For ages 5 and up. Giving your children the opportunity to develop life-long musical skill is a gift that can’t be broken, lost or outgrown. 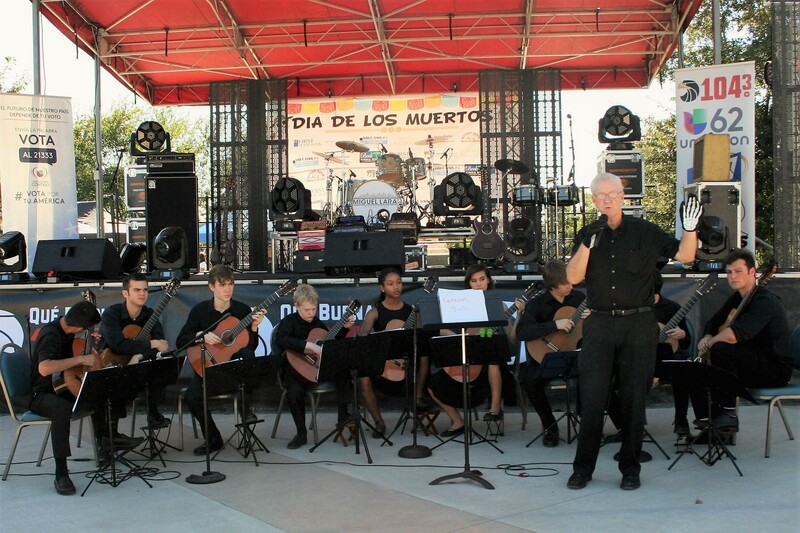 The Childbloom teachers consider it a privilege and honor to open the door to musicianship for young people. 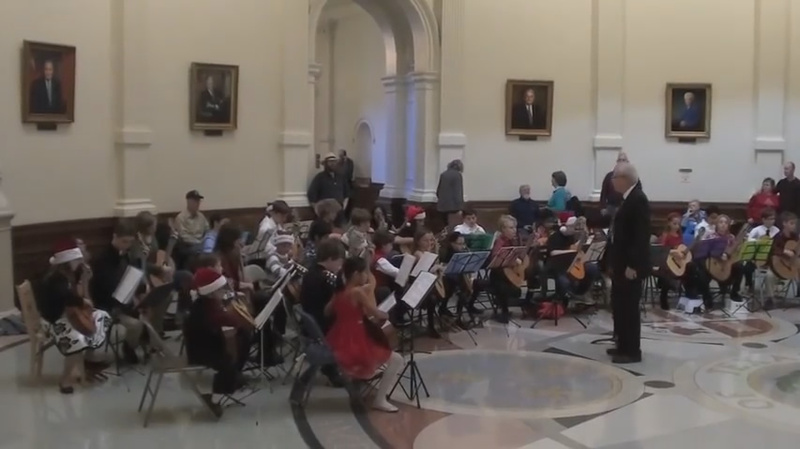 Childbloom Christmas Choir Performs at the Texas State Capital Rotunda. Performing can be a scary thing. 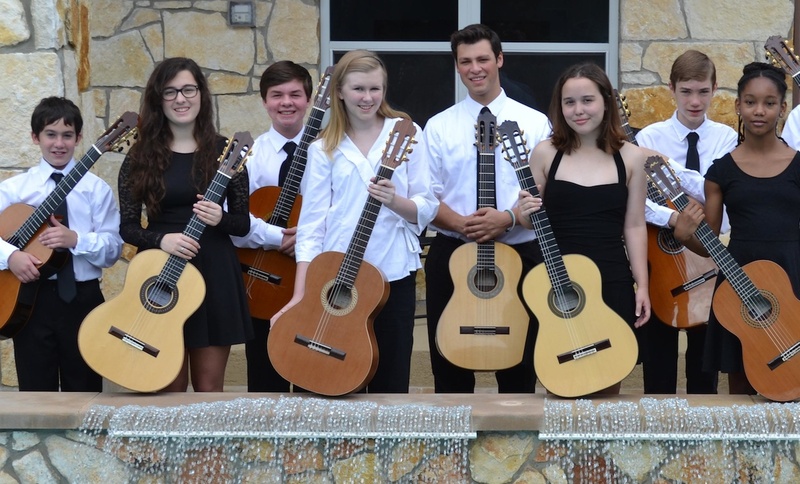 The Childbloom Program cultivates a habit of performance in the class, for family, in our outdoor, “sound oasis” teams, open mics, and eventually on the concert stage in recitals. My son has been at Childbloom for about 5 years now. Awesome instructors. Very patient and skilled! Kim W.
Really, I can't say enough about this program, it's amazing. All of their instructors are great... Martha S.
Mr. Taylor has a gift for putting kids at ease immediately. He is also very talented at sizing up strengths and weaknesses and offering constructive criticism accordingly. My lesson involvement and The Childbloom Newsletter has increased my understanding of my daughter’s needs, abilities and development. 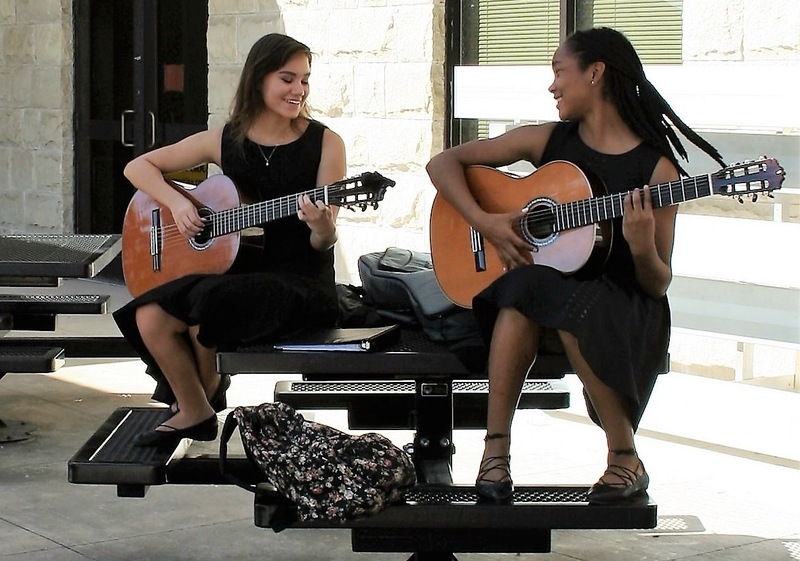 She has progressed from never having played a guitar, to being an accomplished eager musician. This has been a dream come true for my 10 year old daughter and me. Thanks! At 3+ years in the Program I recently asked my daughter (11 yrs. old) why she likes guitar. Her response was, ”I like to be able to do something that not a lot of kids can do and I like to show that skill off". If you would like to speak with your local Childbloom Educator or someone at the Childbloom Company, please send us your contact information through the form on the right. If you are a parent your information will go to the Childbloom Director nearest you and you should be contacted by phone or email within 24 hours. We want you to ask questions. 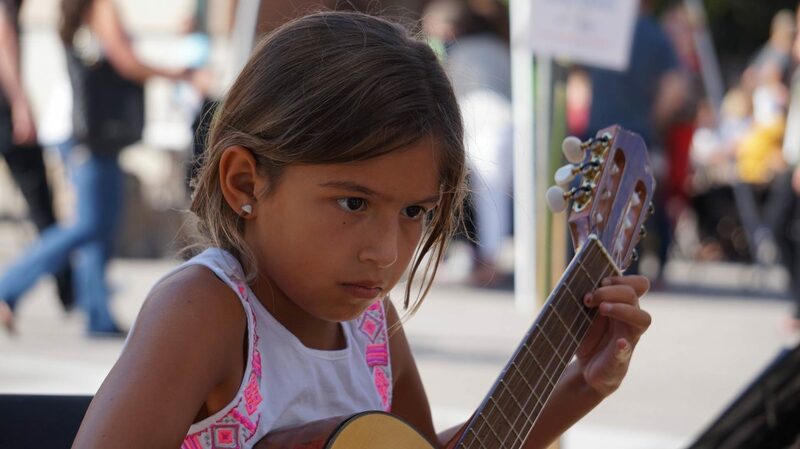 We consider it an honor to introduce the world of music to your child. Please enter the letters that appear below.